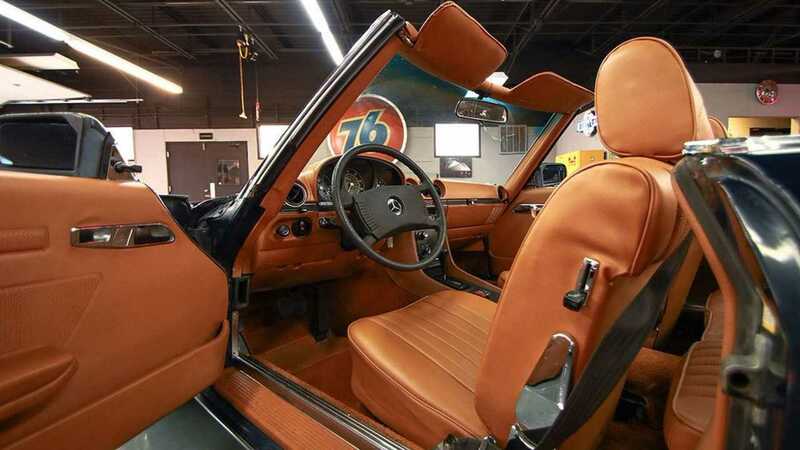 The market for unmolested Mercedes-Benz R107 SLs is currently red hot. 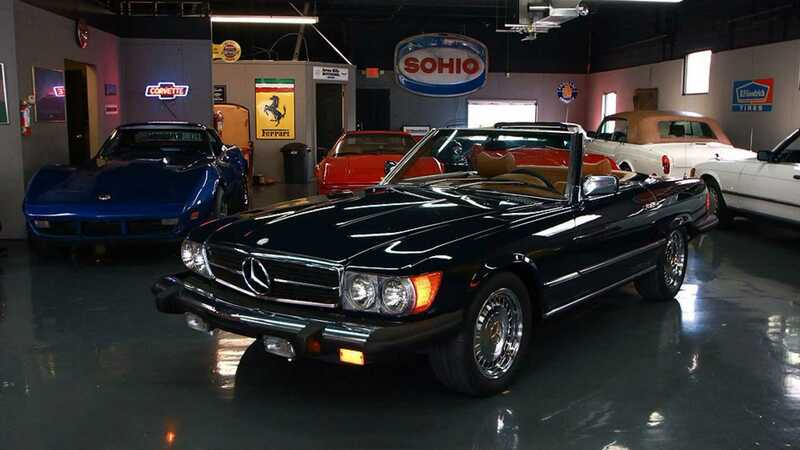 Here's an spotless 450SL V8 for only $12k. Bargain! Contemporary Mercedes-Benz offerings are strangely devoid of the marque’s celebrated vagabond grace, a merit heavily embedded within Stuttgart’s heritage models. Draped with the cutting charm of an incensed lawyer, as technically advanced as they may be, modern day Benz coupés remain less approachable than Freddy Krueger. It’s a different story upon delving into the Disco-sponsored world of bouffant hair, flared trousers and 1970s culture, however. 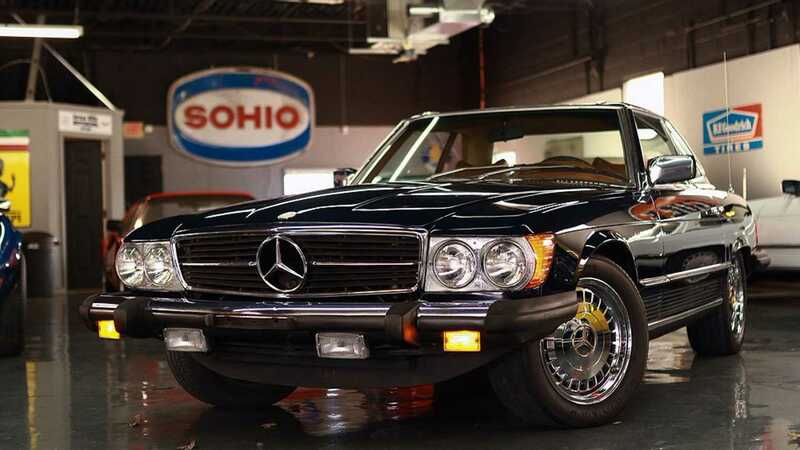 Turn back the three-pointed clock to the SL of 1971, taking Merc’s flagship coupé reins from where the preceding R113 left off, and you’ve got an elegant, capable cruiser with enough style to trump any modern equivalent. Such as this example up for grabs with Seven Hills Motorcars proves. Initially available in 350 V8 form only, the enlarged 450SL eventually bolstered engine capacity towards a greater torque curve. Although the extra cylinder capacity did little to aid overall horsepower, the 450SL allowed a smooth leap forward courtesy of a larger rear axle ratio. Already viewed as the ultimate in open-topped cruising, Mercedes’ 450SL cemented such a reputation firmly in place. 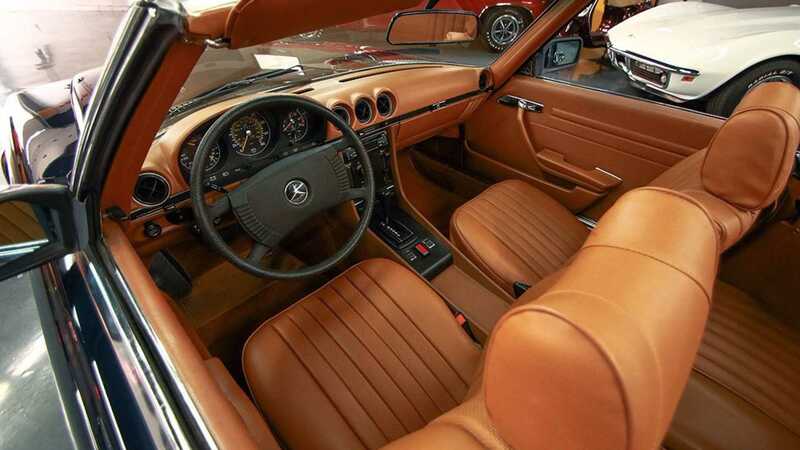 Offered in various guises until 1989, the most significant redesign arrived for 1980; with a considerable facelift and raft of fresh engineering. Yet, this stripped the styling of its mild-mannered tarmac stance. 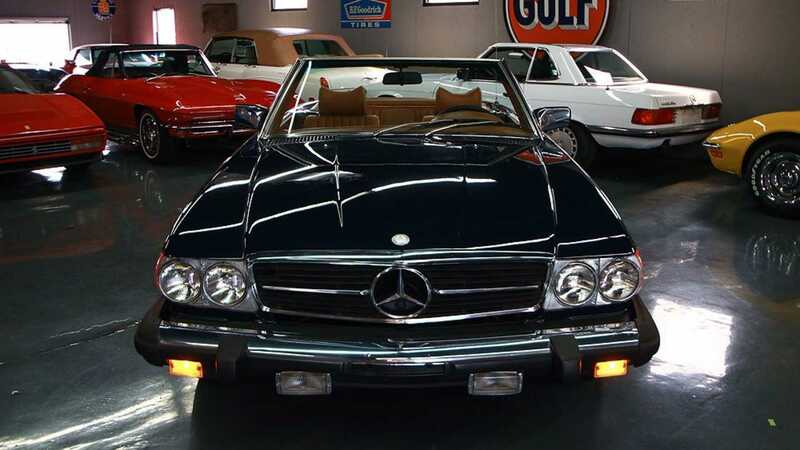 For those who enjoyed Mercedes of old, the 1970s’ incarnation of Germany’s SL pitched the perfect blend of aggression and élan. In essence, it’s a pre-facelift SL that you really want. And we have the perfect example for sale here. In excellent condition and barely having turned 83,440 miles upon the odometer, the engine runs sweetly and every aspect of the drivetrain remains in perfect health. The market for original R107 Mercedes SLs is red hot at present, with unmolested vehicles proving difficult to find. 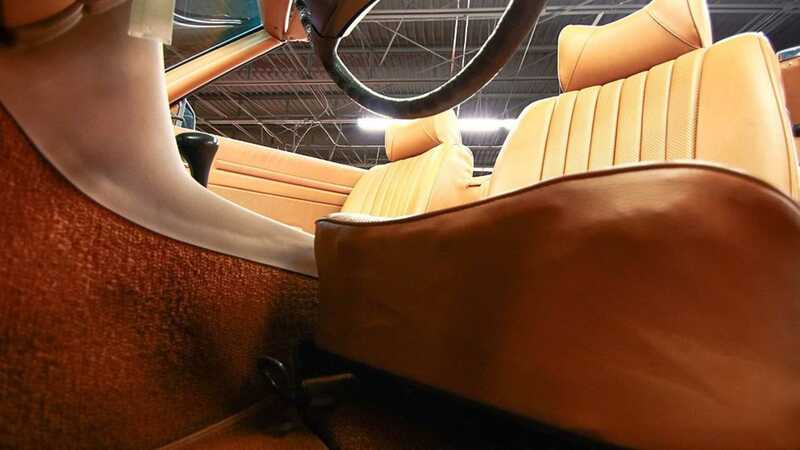 This well-heeled example is reportedly priced to sell, with its low mileage verified by the sheer condition of the car and the clear Ohio title. 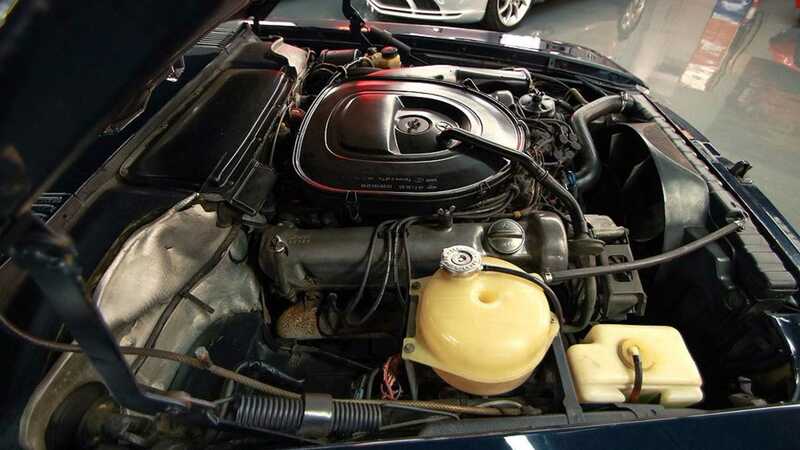 Also verified as a ‘matching numbers’ car, the buyer can rest easy in the knowledge that both engine and gearbox are all original from the factory. Supplied with both the soft-top and auxiliary hardtop, the value presented at little under $12k is undeniable. Quite frankly, you’d be mad not to buy it. 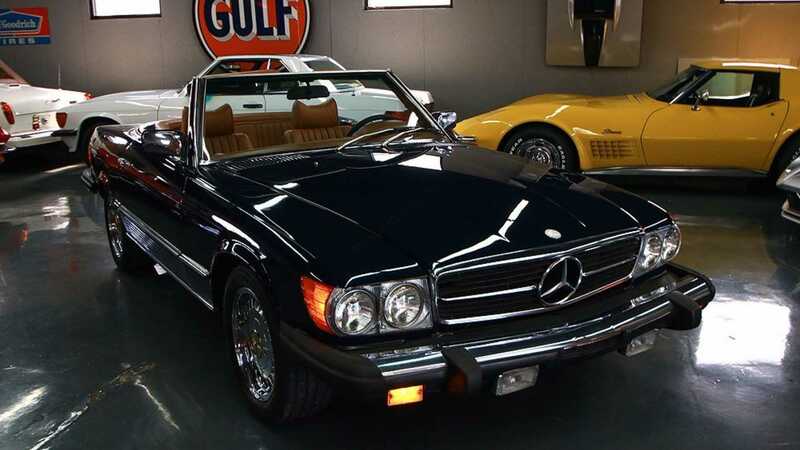 Besides trumpeting the best of Mercedes from a decade now infamous for all the wrong reasons, this Midnight Blue over tan interior specimen could just be the best R107 450SL currently on the market, without spending an unjustified fortune. Power? You’ll have 237bhp to play with, good for wafting beyond 140mph without an ounce of unruffled cool. From a standstill, 100km can be breached in 8.5 seconds, which may seem flatulent compared to modern counterparts, but where the modern ones fail, this old girl succeeds with merit. It’s got style. 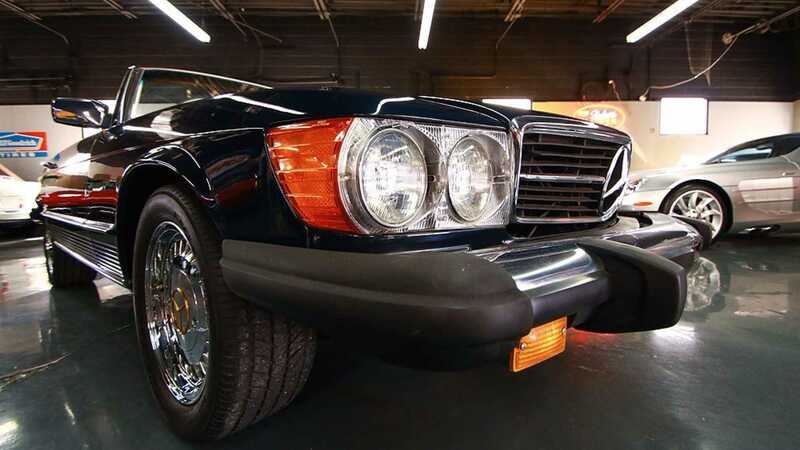 Get a closer look at the Mercedes for sale here.